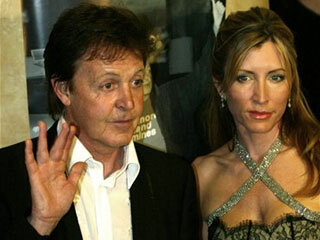 LONDON (July 29, 2006) –Paul McCartney has filed for divorce from Heather Mills McCartney, formally beginning proceedings in what could be one of Britain’s most expensive breakups, newspapers reported Saturday. The 64-year-old former Beatle blamed his estranged wife for the split, saying her behavior was unreasonable and argumentative, The Sun and The Daily Mirror reported. Her spokesman, Phil Hall, said she was unhappy about the reports. “Heather’s going to be filing her own counterclaims about matters both in this country and America,” Hall said in a statement. The couple have a 2-year-old daughter, Beatrice. McCartney, who does not have a prenuptial agreement to protect his estimated $1.5 billion fortune, has hired lawyer Fiona Shackleton, who represented Prince Charles in his divorce from Princess Diana. The couple married in June 2002, four years after McCartney’s first wife, Linda, died of breast cancer. Linda and Paul married in 1969 and had three children.